Custom Conversion VANS from North America. Classic V8 trucks from the 1970's and 80's. Vintage American Vans, so beautifully painted, that they often become Art by itself. Here you will find wide documentary featuring by pictures and stories about them. Get one and enjoy a nice old school ride! "...if you ever traveled in one you love them. Conversion vans are more than just transportation. 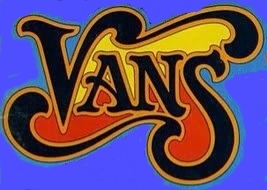 Those old huge vans, if they were clean and well maintained, looked sharp and extremely comfortable on the inside. The VAN has evolved from a pickup truck with an enclosed bed, true multipurpose vehicle, capable of adapting itself to a variety of situations. The earliest offspring were the passenger vans with factory - installed windows and rows of bench seats and camping vans with either basic facilities; inspire by California stylists and a national expression of individualism, both of these were modified further. Full sized Vans are like hotel room on wheels. You can feel like a captain who driving a full decorative boat. Big 1970s- 80s passenger custom vans with windows are a great road trip vehicles with plush captain’s chairs, shag carpet and pine panel walls. They holds a large family or friends in comfort and they are just cool cars.